It a very entertaining YouTube promotion creative, Google hired Homer Simpson to be the spokesperson of their latest ad. Homer Simpson is seen here with his company Mr. 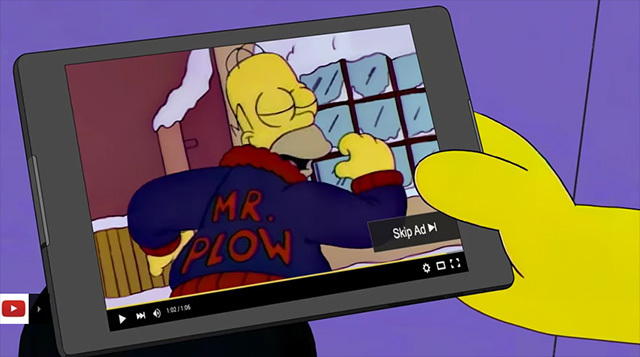 Plow, promoting his business using YouTube Ads. He creates a fun home made video ad, promotes it on YouTube Ads and gets tons of business for his snow plowing business, Mr. Plow. Thanks Chris Le for notifying me of this on Twitter.